You should expect great care for your pet! During our examinations our experienced doctors and staff will take the time to discover your pets’ unique lifestyle and needs. We will then help tailor a health care plan especially for them and for your family. Dr. Cathy and Dr. Dave are passionate about providing the most recent and beneficial treatments for your pets. 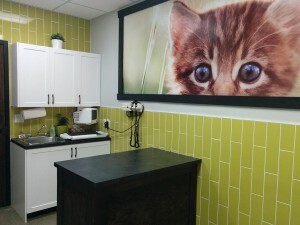 Since purchasing Guildford Animal Hospital in 2015, they have already added cutting-edge digital dental X-ray, the best anesthetic monitoring equipment and a patient warmer to keep your pets warm while they are under general anesthesia for procedures. Many new medications, diets and supplements have also been added to our inventory to allow for the best individually tailored care for your furry family members.